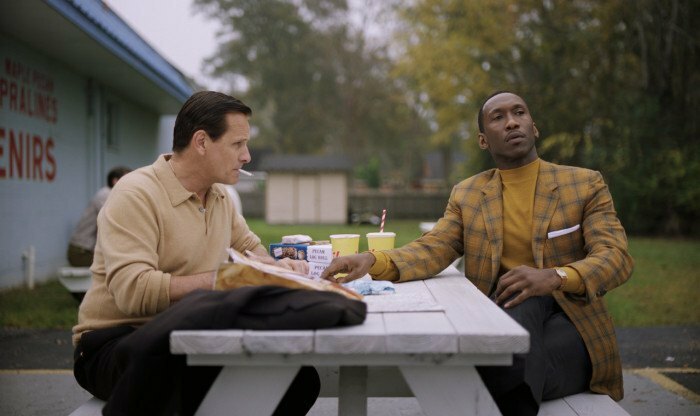 Kino Nowe Horyzonty - "Green Book"
I got caught here from the beginning till the end. This is the kind of movie that interrupts your life for two hours and afterwards lets you go back to your own business feeling more civilized. There is a sense of simplicity in achieving this: two men in a car, travelling through the deep south of the United States in a time of racial segregation. One happens to be a virtuous Jamaican-American pianist (Mahershala Ali), who finds a driver for his concert tour in Tony Lip, (Viggo Mortensen) an Italian-American bouncer. While following up on their journey, we realized - and this is where the sense of satisfaction comes in - the joy of meeting a friend. The movie uncovers a simple truth about friendship: it is beyond lifestyle, convictions, agenda and even beyond our will, and that's what makes it so satisfying. The journey goes through Georgia, Louisiana, Mississippi, South Carolina, Alabama, experiencing a wide range of emotions; being proud, feeling shame, being caring, careless, and having to realize it. We've seen it before in American History X when Derek (Edward Norton) meets Lamont (Guy Torry) and how their time together transforms themboth. In a much lighter way, the time is flying between thesetwo main characters, they are almost the only one thing happening in the whole movie, and yet, you never have quite enough of watching how the two polarities are interacting with each other. And yet, neither of them is a cliché, but a classic, where the gesture, dialogue, and silence play just in perfect timing to make of them a comedy couple. In the end, I left lighter than when I came, a bit more at ease with the other, and I swear that I saw people smiling leaving the cinema.